I’ve never been a fan of oil and vinegar dressings (read: every dressing ever made). I’ve been known to use hummus or salsa as dressings. It never really occurred to me that there might be oil free salad dressings. Angelo Coppola—best known for his awesome Latest in Paleo podcast—posted an oil free Caesar salad dressing recipe on his blog. I was inspired to make this whole-food, “Plant Paleo” recipe right away, but I didn’t have all the ingredients. 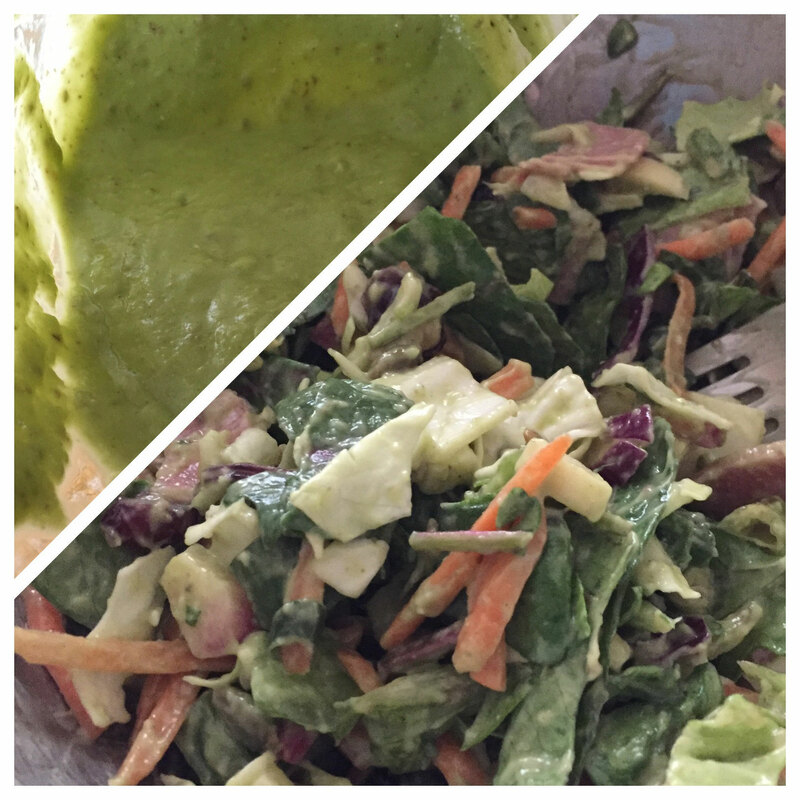 So, I used this recipe as a departure point for an avocado-based oil free salad dressing. It’s not the prettiest thing in the world but it’s delicious! That salad did not last long. Combine ingredients together in a blender or food processor, or with an immersion blender. Refrigerate leftovers for a couple of days.